This project is a 5500 sq ft. client presentation space for the business solutions company Exigen. 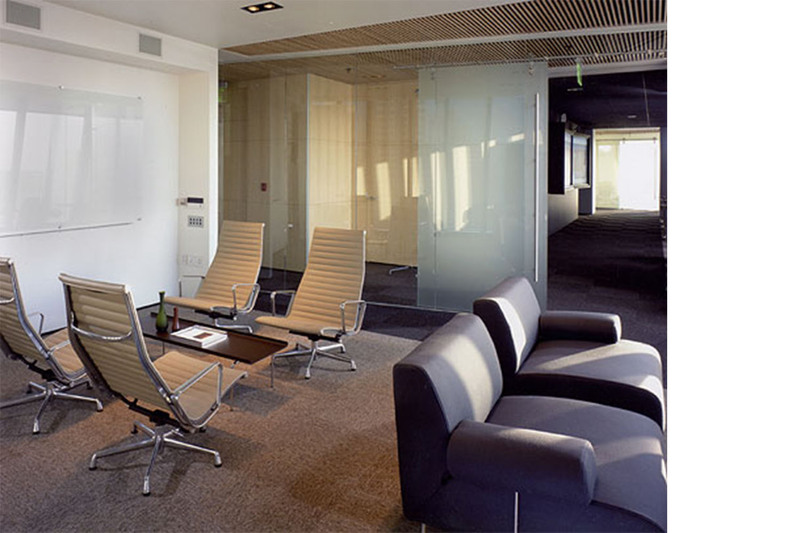 With panoramic views of San Francisco, the use of glass walls allow views from the core through the multipurpose rooms located on the perimeter corners. 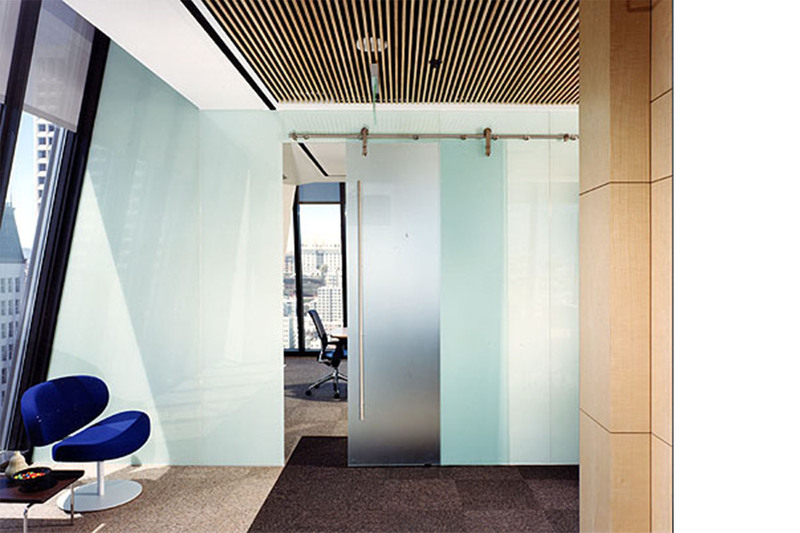 Mecco shade material has been laminated between some of the glass panels to serve as a privacy filter, while allowing light into the core. 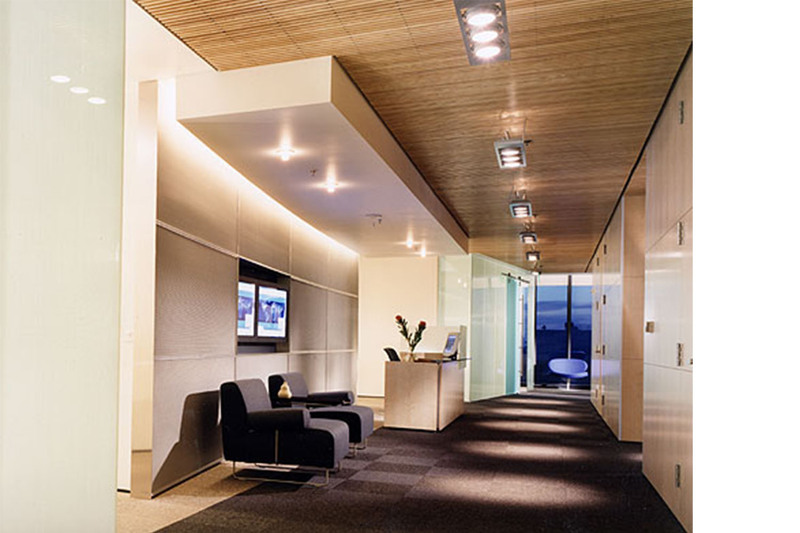 Wooden slat ceilings allow access to the hidden mechanical equipment above, while providing warmth, and acoustic control.